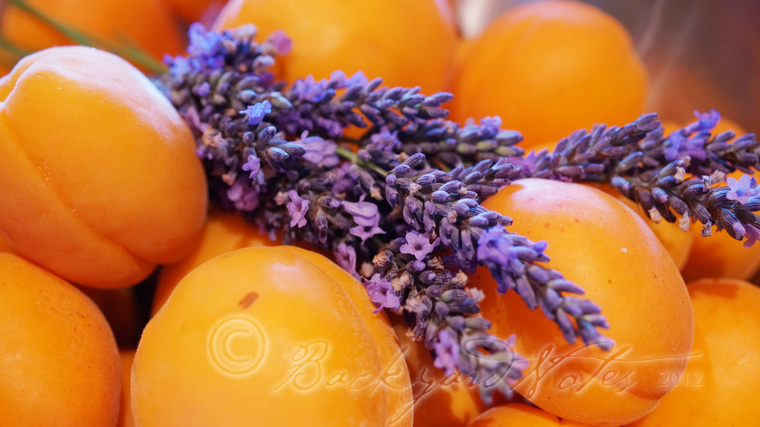 WHAT WOULD YOU DO WITH 20 POUNDS OF APRICOTS? AS WE LEFT WINTHROP ON THE LAST DAY OF THE BIG TRIP, I HAD TO STOP AT THE FRUIT STAND. I bought a twenty pound box of apricots and eight pounds of Rainier cherries. Hmmmmm…twenty pounds, really? What was I thinking?. Seven weeks of missed canning opportunities, perhaps? Thinking was definitely in order now. Big, beautiful, local blueberries were a good deal the day after we returned so I couldn’t resist them either. 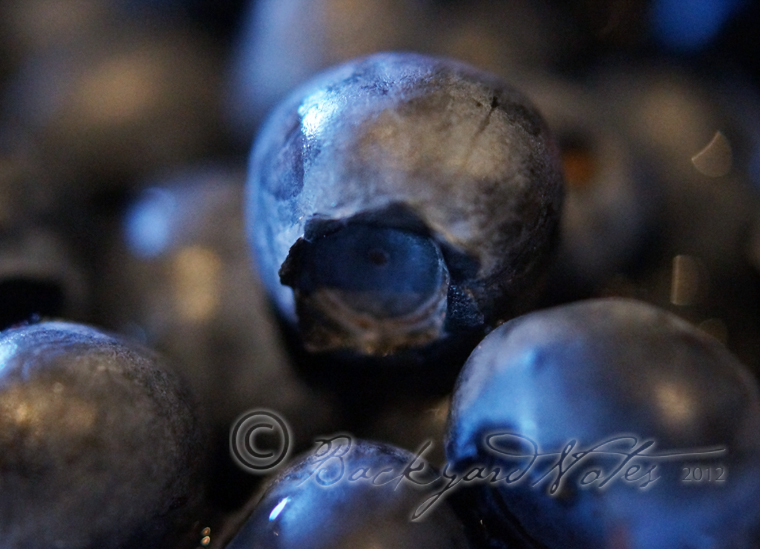 6 half-pints blueberry jam; 4 half-pints of Blueberry-Balsamic w/star anise jam. 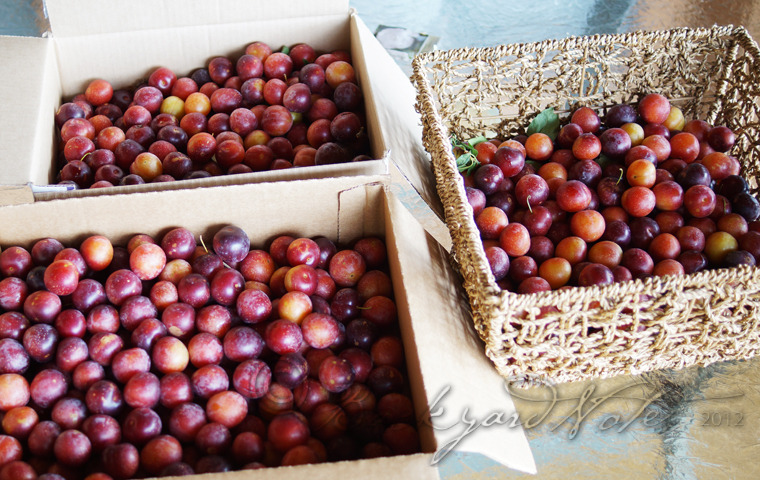 On Monday last week I went up to my daughter’s place in Snohomish and picked 17 pounds of Cherry Plums. 7 pounds went to Cherry Plum Preserves ( 11 half-pints). 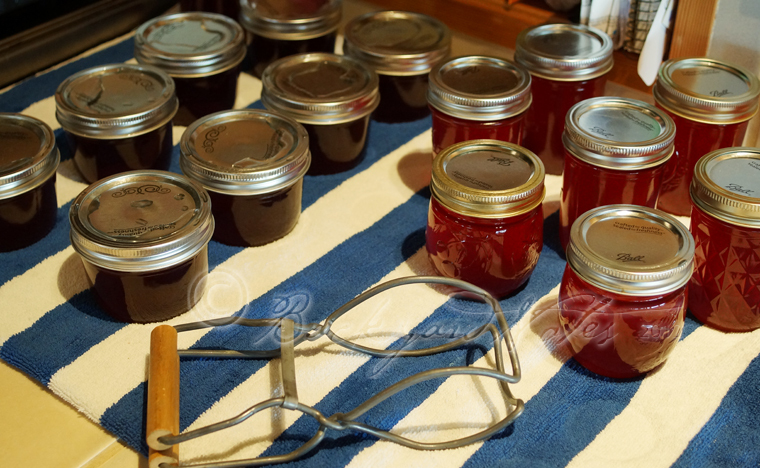 The remaining 9 pounds produced about 10 cups of juice which became two types of jelly: Gingered Cherry Plum Jelly (8 half-pints) and the same base with the addition of red Fresno chiles (9 half-pints). 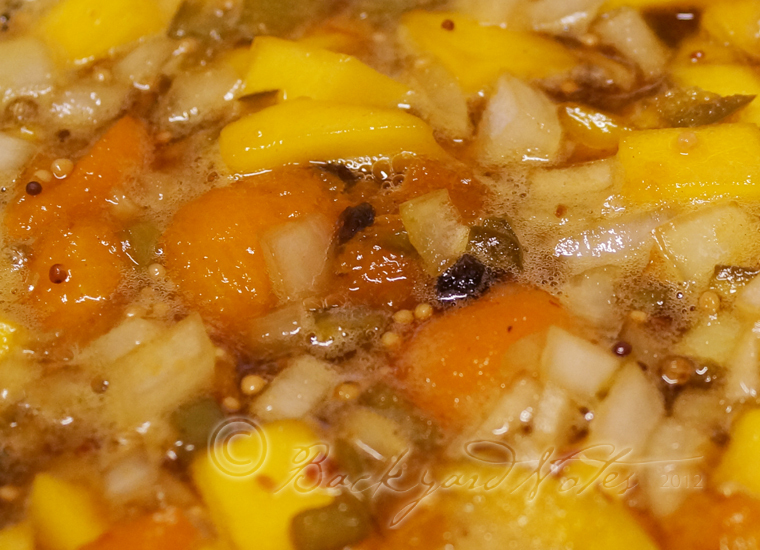 Think I’m done with canning for a week or so — the garden is calling!